• Rosenfeld says the news about Amazon buying Whole Foods has been a bit “overplayed” with respect to how quick and drastic the change will be. • Mondelēz is perhaps best known as the maker of Oreos, but according to Rosenfeld, the biggest trend it is seeing from consumers is a push toward well-being. Mondelēz is introducing a well-being brand called Véa in July. • Rosenfeld’s best piece of career advice is to be yourself. As a leader at a time when there were few female role models in leadership roles, she made the mistake of trying to be like her male counterparts by wearing bow ties and talking about the Army. She says this wasn’t the right approach at all. 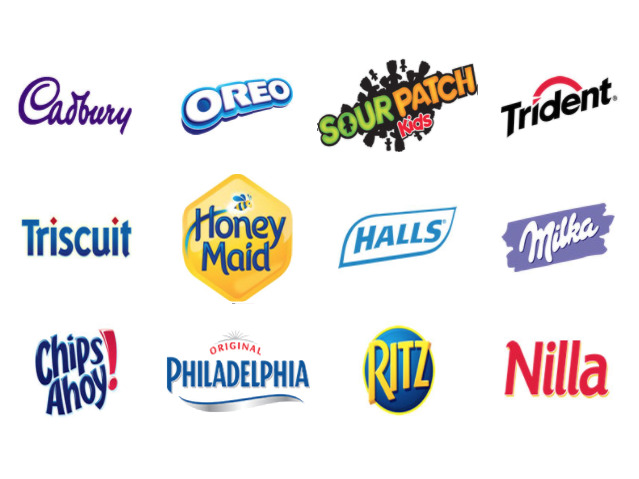 Mondelēz International is one of the largest snack companies in the world, with $US26 billion in annual sales. It’s known for many of its brands, including Oreo, Chips Ahoy, Ritz, Wheat Thins, Nabisco, and Trident. CEO Irene Rosenfeld came to Business Insider for an interview with Executive Editor Sara Silverstein to talk about recent news in the packaged-food business, including Mondelēz’s new brand, Véa. Sara Silverstein: It’s a really exciting time to be sitting and talking to you, because all the news right now with Whole Foods being bought by Amazon and Nestlé possibly selling its snack division, you are the exact person who I want to know what you are thinking and what does that mean for the industries. So let’s start with Whole Foods. Whole Foods has been losing a lot of customers, and people are saying they are going to go to Kroger, maybe there’s more traditional snacking products there. Maybe they’re going to Trader Joe’s, where there’s more private-label. What does all that mean to you, and can you educate me on what it’s like to be in the industry? Irene Rosenfeld: Over the last couple of years, we’ve seen a real movement on the part of our consumers to move beyond this traditional supermarket. And so they are shopping at multiple channels, and one of the fastest-growing channels is e-commerce. So we certainly are seeing that our consumers are looking to find our products in all different channels, and as a result of that, a couple of years ago we made a significant investment in e-commerce. We’ve targeted to have a billion-dollar business in that channel by 2020. And the opportunity is just to make sure that our products are available wherever consumers are going to shop. There’s no question that Whole Foods’ integration with Amazon presents an interesting opportunity. I think it will accelerate the e-commerce within the food business. I think it will shake things up in the industry. But I would say that I think the reaction to the news was a little bit overplayed in terms of the speed and the magnitude of the impact that they will have. Silverstein: And your e-commerce business, how big is it right now? Rosenfeld: Today it’s about $US350 million. But it is well on its way to becoming $US1 billion, as I said, by 2020. 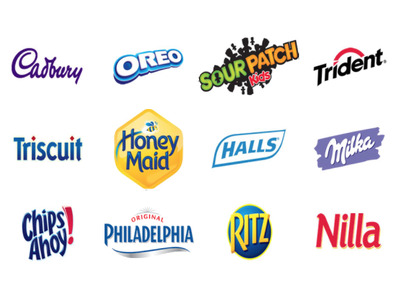 MondelezSome of Mondelēz’s well-known brands. Silverstein: And we all know the products that you guys sell. Even if not everyone knows Mondelēz is associated with Oreo and all of the products that we are familiar with. 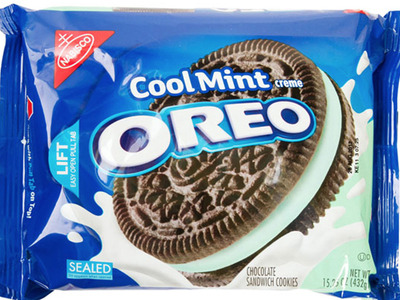 So what’s the strategy to break into e-commerce — how do you buy Oreos online? Rosenfeld: Well, it’s very simple. There’s a number of different ways you can actually buy the product as a single item. You can buy the product as part of your grocery basket; you can buy the product as part of a subscription. And we are finding that we are participating in e-commerce both with our traditional brick-and-mortar retail partners like Walmart, like Kroger as well, as with e-tailers like Amazon or Alibaba. And the opportunity is a little bit different in each of those venues, but the end in mind is for us to have the same strong share position in the e-commerce channel as we have in brick-and-mortars today. Silverstein: Great. And Nestlé, we heard that Nestlé might be selling off its US candy division. What does that mean to you? Is it because of cost-cutting, or is it because they are trying to get more healthy? What does that mean? Rosenfeld: I can’t speak to their motivation, but what I would say is every time an M&A idea comes along, it causes a lot of conversation about whether or not that predicts a whole new trend for the industry, and in our case, we are quite satisfied with the portfolio we have today. We don’t need M&A to deliver our growth, and we are very much focused on our strategy of driving growth by accelerating our core products, by continuing to expand into white spaces like chocolate in China, chocolate here in the US, and continuing to expand our position in all kind of — all retail channels, including e-commerce. Silverstein: And you guys are moving into more — you have a new health brand, is that correct? Silverstein: Yes, and it’s pronounced Véa? Rosenfeld: Yes. And, in fact, I’d love to show it to you. Rosenfeld: This is a new product that we actually are launching here in the US in July. It will be available in retail stores. And we are very excited about it. It is basically targeted to millennial consumers. It is made with natural flavours, natural colours, no artificial ingredients, no GMOs, and it comes in a variety of flavours that consumers have told us that they want — things like Andean quinoa, things like Peruvian sweet potato, flavours from all over the world. It’s available in these stand-up packages, which is a very convenient packaging format, and we think it really meets the need of today’s consumer to have something that is delicious and nutritious at the same time. Silverstein: And this is a clear health push. Is it also bleeding into the rest of your products as well? Or are you going to leave Oreos the way that my husband likes them? Rosenfeld: Well, as we think about the future and we look at where consumers are going, there’s no question the single biggest trend among our consumers everywhere in the world is a desire to eat better and to move toward well-being. That doesn’t mean they aren’t eating indulgent products. We are still seeing terrific growth of Oreos, of Cadbury Dairy, Milka milk chocolate. But we are increasingly thinking about providing those products in reusable, resealable packaging, in smaller packaging sizes, so that they can be more permissible. At the same time, in our biscuit business, we see a real opportunity to take out some of the ingredients that our consumers have told us they’d like to see less of — saturated fat, trans fat, sugar — and add more whole grains, as we would have in a product like Véa, as well as to be able to add protein, for example. So we’re doing both renovation of existing brands — we’re about to launch a protein-enhanced version of our very successful Belvita biscuit with 10 grams of protein — and we are, at the same time, taking products like Triscuit and launching a GMO-free version. So it’s a combination of innovation and renovation all designed to contemporize our brands and our portfolio and better meet the needs of our consumers. Silverstein: And I want to ask about the Oreos because it’s a big deal at my house. What is the plan here? Is it just for fun, for the fans like my husband, who will try anything that you will put inside an Oreo? Rosenfeld: Well, most of our consumers will try almost anything we will put in an Oreo. They love the brand. We have 40 million Facebook fans. I think we are one of the top five brands on Facebook, so there is an incredible love affair with our Oreos. So it’s a combination of continuing to make sure that we are providing the brand in the forms that people love while evolving to more contemporary formats that will help them to lead the lifestyle that they want. Silverstein: And you’ve had a lot of experience with activist investors and a lot of run-ins with them. Can you tell us from your perspective as a CEO what that experience is like, and if anything positive has come out from those experiences? Rosenfeld: I think a lot of positive things can come out of the experiences, but I think the lessons that I’ve learned — we’ve had a number of activists in our stock. I think the first lesson I learned is you have to be your own activist. Before these guys show up, you want to make sure you’ve looked at your business with a critical eye and you understand what you need to do to unlock value. In our case, as we split the company in 2012, we ran into a real slowdown in the macroeconomy, so we decided that we need to pivot and focus a lot more on the short term, on margin expansion, which is what we did. So I think understanding what your profile looks like, how you fare competitively, is a critical piece. The second is to engage with your shareholders even when you don’t have to. We’ve always had an ongoing relationship with shareholders, to listen to what they have to say, to listen to their ideas on what we could be doing better, and I think that’s helpful as you think about how someone on the outside might look at your business. The third piece is to engage. I think that there are two companies that get a phone call and they hang up the phone. I think it is most productive — these guys are smart, they have interesting ideas, and I think it’s really productive to engage with them. But last but not least, the other lesson is make sure you are focusing on both the long term and the short term. Some of the demands and some of the things they are asking for is short-term-focused, and those of us who are running our companies for the long term need to be concerned about which of those actions will be consistent with where we are going for the long term. Silverstein: And that’s something else I wanted to ask you about. How do you balance that? You’ve been CEO for quite a while, and generally, when activists come in, they are serving the shareholder, which is important, of course. But how do you balance the long-term investments for the company and the other people, the workers and customers? How do you balance the short term and long term? Rosenfeld: Well, I think that is the art of thinking about resource allocation. In our case, I really firmly believe that the long-term viability of a company is dependent upon having a balance between top-line and bottom-line growth, and so you need to make sure that you are doing what you have to to deliver the bottom line, but you are making the investments necessary to make sure that bottom line is sustainable. And I’m pleased with the fact that we are one of the few companies who has been able to deliver that balance. Silverstein: And being on the other side of the activists’ sort of relationship, is there anything — any advice or anything you can give to activist investors about something that they miss as far as unlocking value, from being on your side? Rosenfeld: No, I think — as I said earlier, I think there are a number of lessons that I’ve learned, and I think the single biggest disconnect that I found is that many activists simply sit in conference rooms and do calculations and analysis, independent of the reality of the fact that we are dealing with human beings and people’s lives, and some of the actions that one might want to take in overhead reduction, for example, can’t be executed at the drop of a hat. We have a sizeable business, for example, in Europe, and there one has to consult with works councils before one can make any changes to the overhead population. So understanding some of those dynamics are critical in terms of looking at the feasibility of some of the ideas that any one of us might want to pursue. Silverstein: And can you talk a little bit about President Trump and his role in the economy, if he is good for business, bad for business? Rosenfeld: I think it’s a little early to tell. I’m hopeful that he will. If he fulfils some of his campaign promises, it will be good for businesses. Without a doubt, tax reform is something that would be of great interest to us as a multinational company. At the same time, free trade is something that’s very important to us, and it would appear that the administration is slightly going in a different direction there, so I think it’s a little too early to tell. We will have to watch and see how the rhetoric and the action come together. Silverstein: And we and our audience always like to hear from people who have achieved what many of us aspire to achieve. So I’d love to ask you a little bit about how you got to where you are, and can you tell me, like, the best piece of advice you got from someone? Rosenfeld: I think my very best piece of advice is be yourself. You know, I grew up in business at a time where there weren’t very many female role models, and so in the early days we wore little bow ties like the guys, and we talked about the Army even though we weren’t in the Army. And the reality was that wasn’t the right way to approach the business world. And I think, over time, as there has been certainly more of us in the management ranks, as there is more understanding of the value of diversity, I think the opportunity to be able to express ourselves and approach business in a way that makes the most sense for us. I would say probably the most — one of the areas that changed the most is that there was a much more of a hierarchical focus in companies as I was entering the business world than today, where we see much more of a flat structure, a more egalitarian structure, and the reality is that the employees of today are looking for that. Silverstein: Great. And can you share, if you’re willing, the biggest mistake you think you’ve made in business or your career and what you learned from it? Rosenfeld: I think the big lesson I learned over the years is there’s always a sense when you figure out what you want to do, there are 10 reasons why you should go more slowly, and I would say the big lesson I’ve learned is moving faster is better than not. And I think it pertains to organizational restructures, it pertains to making changes with respect to employees, a whole host of things. But I think the big message is move faster rather than slower. Rosenfeld offers her best piece of career advice.